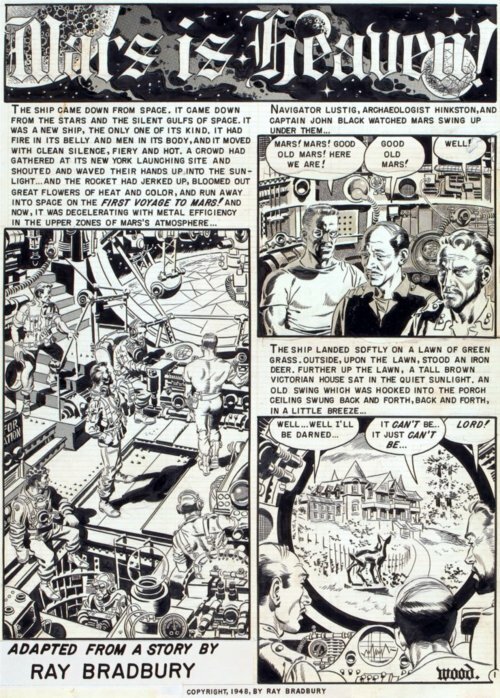 I’d heard that Larry Hama had worked as Wally Wood’s assistant, and as the week of Wood’s birthday came closer, I began to wonder what that must’ve been like. So I asked Hama a few questions about his time with the brilliant artist. 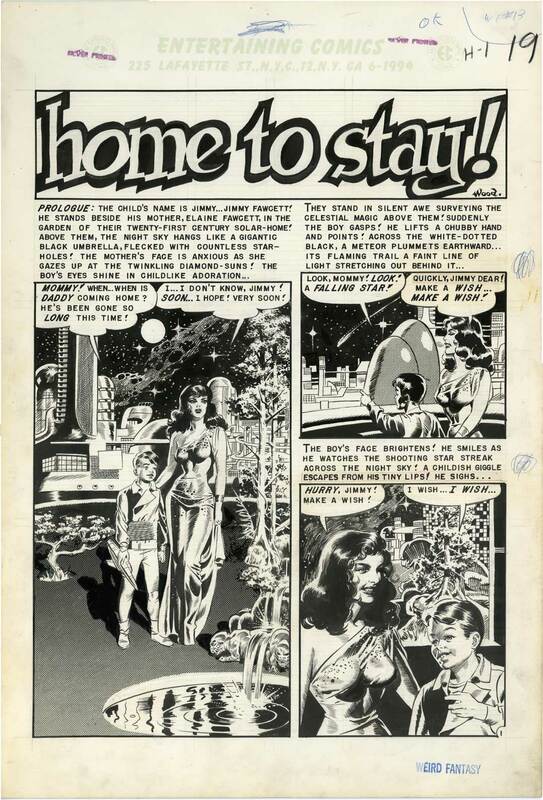 When did you work with Wally Wood? What do you do for him? I worked as his assistant 1971 to 1972 on Sally Forth and Cannon, the strips he did for Overseas Weekly. I did the usual swipe-o-graphing and backgrounds, and lettering. I also alternated writing on Cannon and Sally Forth. Woody and I would each write an arc, and then we’d switch off. How did you get the job? Did you know each other prior? I actually met him much earlier in the mid-sixties through Larry Ivie. Then my high school buddy Ralph Reese went to work for Woody as his assistant. When I got out of the army, I needed a gig, and I was doing jobs with Ralph me penciling and him inking, but I needed more work, and Ralph sicced me on Woody. Did you work with him in a studio or did you pick up work and take it home? I worked mostly at his studio, because it wasn’t that far from where I was living at the time in Brooklyn, and he was set up for multi-tasking there. One table for inking, another for lettering, etc. All his swipe files were there, and his swipe-o-graph. So what was your day like working with Wood? We talked a lot while we worked, and for a break, we’d take down the guitars from the wall and play “The Wild Colonial Boy,” or “The Salvation Army Song.” On “Girl from North Country” we’d go around and around on the “true love of mine” chorus with him doing Johnny Cash, and me doing Bob Dylan, and sometimes we could do that like a record stuck in a groove for ten or twenty minutes. He was great fun to be around at times. For years, he would send me polaroids of his studio. Shots of his swipe-o-graph, or some scotch display ad from a liquor store, or just him standing there. Never any explanation. When you got the job with Wood, was it your big break or just another job? 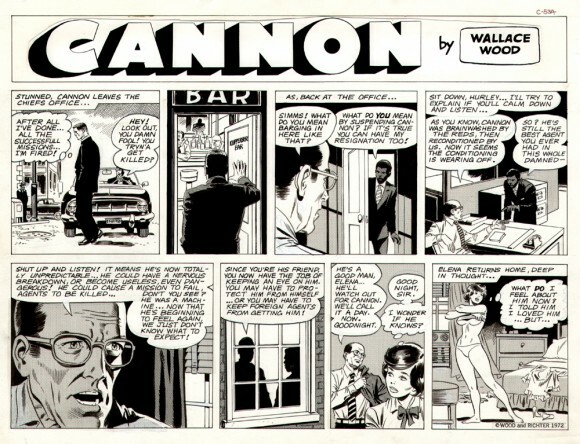 We all think of Wood today as one of the true geniuses of comics — was that how you and others regarded him back then or did that reputation evolve over time? I guess what I’m asking is, we all know great work when we see it, was Wood always looked at as this amazing creator or only in retrospect? Wallace A. Wood was a comic book GOD from the first. He always had an adoring fan following, but somehow he had a tough time making money. Every artist in the business gave him a lot of respect. What’s your favorite Wally work? My favorite Woody stories are the EC sci-fi stuff. Thanks Larry. And happy Wallace Wood Week.